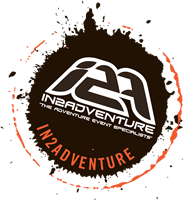 In2Adventure was founded, and is driven by our desire to deliver events that focus on the individual experience of each participant. We recognise that everyone has their own goals and aspirations and for each person these are different. We embrace the philisophy that whether you’re an olympic athlete, a weekend warrior, or one of our littlest Dirt Kids that each person’s goals are just as important as the next. We value the fact that competition and winning are special, but equally important is the opportunity to challenge yourself, to achieve personal goals, and to have a fantastic experience along the way. It’s about creating memories that stay with you a lifetime. We look forward to welcoming you to our very special In2Adventure family at one of our many off road events throughout Australia. In 2006 In2Adventure was born with the launch of the Teva Adventure Series. In a short period of three months, the team delivered highly successful events in Brisbane, Sydney, Melbourne, and Noosa with over 1200 participants taking part. In 2007 the team discovered Cross or Off Road Triathlon which at the time was a relatively new sport in Australia. It was a version of triathlon which embraced everything that In2Adventure was about including a Swim, Mountain Bike & Trail Run. We loved this new version of the sport so much that the TreX Series was launched in Queensland with three races on Brisbane’s northside. During this period the TreX Series continued to develop and grow based on feedback from our TreX family. The series added all new standard, sprint, junior, teaser and dirt kids courses and a Dirt Fest Weekend which embraced Mountain Biking, Trail Run and MultiSport Events. The series also expanded to New South Wales and Victoria. 2010 also saw the launch of the Mountain Designs Adventure Race Australia Series with six events in five states throughout Australia and the LunarC XC MTB Enduro, a unique mountain bike event starting at midnight Friday and finishing at 8am on Saturday. This period saw In2Adventure being awarded rights by Triathlon Australia to host numerous state championships and the National Cross Triathlon Championships in the spectacular Snowy Mountains. The TreX Series continued to grow and develop and an audacious dream was hatched to bring the ITU World Cross Triathlon Championships to Australia. In 2015 In2adventure were awarded the rights to host an Oceania Regional Championships in Australia and this acted as a test event for a possible world champs. In May 2015, the ITU awarded the rights to host 2016 World Championships to In2Adventure, this was the first time the event had been awarded to a country in the southern hemisphere. Along with this, a new concept in Mountain Bike Stage Racing was launched in the Snowy Mountains with the Snowies MTB Festival. In2Adventure hosted the most successful ITU Cross Triathlon World Championships to date and exceeded expectations in regard to visitation and benefit to the region. In 2017/18 the TreX Series grew to seven events in three states with the addition of an all new event location in Port Stephens, NSW. New Aquabike and Duathlon formats were introduced at each TreX event. 2017 saw In2Adventure, in partnership with Moreton Bay Regional Council launch the MoreTon Bay MTB Series. In 2018 In2Adventure also partnered with Tourism Events Queensland and Sunshine Coast Council to launch the Sunshine Coast Trail Run Festival and Sunshine Coast XC MTB Festival. In 2018/19 we are very excited to launch the all new Trail Run Australia series and look forward to welcoming you all to the next event. Maintaining a strong focus on the ‘Individual Experience’ and ‘Personal Challenge’ of every participant. Hey Buddy!, I found this information for you: "About". Here is the website link: https://www.trailrunaustralia.com/about/. Thank you.